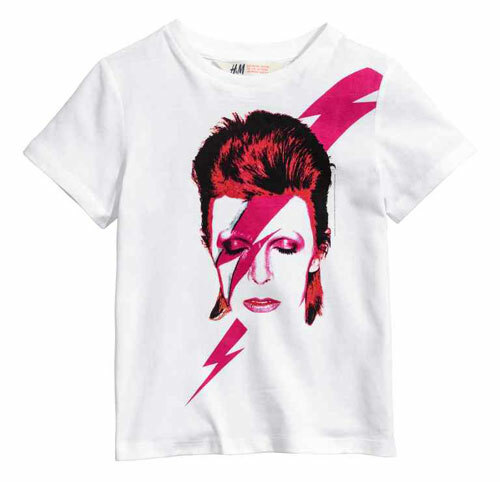 David Bowie-loving parents note that this Aladdin Sane t-shirt for kids is now in at H&M. 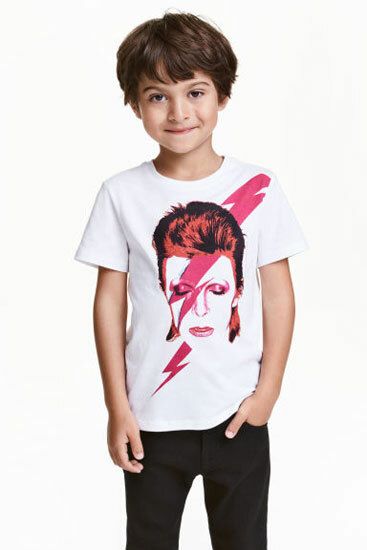 Yes, calm up your child with this ever-so-glam photo of David Bowie from 1973, adapted for a t-shirt design for kids aged from 4 through to 10 years. It really does jump out at you. Cheap enough too, with the t-shirt available online (and presumably in a store too) for £6.99.